A start has been made on major reforms but caution is still the government's watchword. Finance Minister Arun Jaitley has been lucky. In his maiden Budget speech in July, he had worried about the possible impact of surging global crude oil prices on the economy. As it happens, crude prices have fallen by 30 per cent since then. This in turn has given Jaitley the leeway to push for a number of energy reforms. On October 18, he made two crucial announcements - the government was lifting its control over diesel prices and a new formula had been arrived at to determine the price of locally produced natural gas. Both had been long awaited, but were deferred earlier because they were politically sensitive. Yet such is Jaitley's fortune - given the low price of global crude - that far from increasing it, de-control reduced the price of diesel and in coming days may bring it down further. The new gas formula raised the price of natural gas produced at NELP blocks from $4.2 to $5.61 per mmBtu (million metric British thermal units). Two days later, Jaitley declared the Cabinet had decided to pass an ordinance amending the Mines and Minerals (Development and Regulation) Act, which will allow e-auctioning of coal blocks for captive use, and permit private players to take part. This will mitigate the crisis that had arisen since the Supreme Court, in September, cancelled all coal block allotments to private parties by previous governments from 1993, terming them arbitrary. 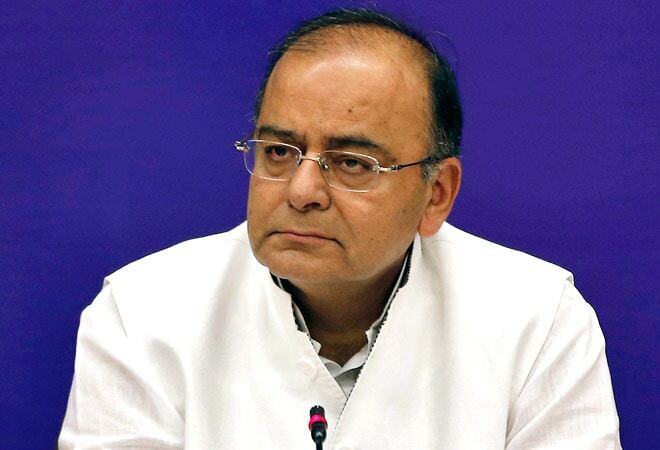 The steps announced will increase government income and cut subsidies, making it easier for Jaitley to achieve his target of reducing the fiscal deficit to 4.1 per cent in 2014/15. In 2013/14, the government's fuel subsidy amounted to $10.6 billion, the bulk of it on diesel. In the next three months, the government also intends to stop subsidised sale of LPG cylinders altogether, and replace it with direct cash transfer of subsidy to the bank accounts of those entitled. This too is expected to curb leakages and trim the subsidy bill. "But more than raising revenues, these decisions indicate the direction in which the government is thinking," says a senior finance ministry official. The hike in the price of natural gas is a bit of a damp squib for the gas exploration companies as they were pushing for a much steeper hike. In the closing months of the previous UPA government's rule, the then chairman of the prime minister's Economic Advisory Council, C. Rangarajan, had suggested a formula that would have raised the price to more than $8 per mmBtu. The Narendra Modi government put this decision on hold on coming to power. The Rangarajan formula used weighted averages of the gas price at different international hubs to determine what India's price should be. The new formula follows the same pattern, but has dropped the Japanese index along with Indian import prices and included Russian and Canadian indices. The Japanese index is considered to be aggressive as it is linked directly to volatile crude oil prices. Also, Japan is heavily dependent on imported fuel, which keeps prices high. "We have included the relevant and excluded the irrelevant," said Jaitley at a press conference soon after. Petroleum Minister Dharmendra Pradhan, too, expressed his satisfaction. "The new price will enable gas producers to make profits, but there will be no windfall," he added. A good deal of damage, however, has already been done. Power producers relying on natural gas, for instance, are saddled with huge debts and idle capacity. (Between them, they have made a total investment of Rs 1.2 lakh crore for an installed capacity of 24 gigawatts.) No doubt the government has asked public sector gas producer GAIL to reduce its margins and allowed the power producers to charge for fixed costs at Rs 1.10 per kilowatt hour, instead of 85 paise as before. It will let gas-based plants renegotiate their debts with banks as well. But that is not enough since fixed costs are actually much higher. The changes will enable gas based power plants to run at about 40 per cent of their capacity. "To make profits, we need to utilise at least 75 per cent," says Isaac George, Chief Financial Officer at GVK Infra. "But we will be able to service some of our debt and survive. This is a good first step of the government, but it must push reform further." He hopes the government will also pool domestic and imported gas - the latter is much more expensive since it is shipped in liquid form and re-gassified again- and make it available at the same price. The petroleum ministry is expected to decide on this by January. Experts have responded similarly to the change in the mining law. "It is a cautious initial step," says Kameswara Rao, Leader of Energy and Mining Practice at PricewaterhouseCoopers, India. As Coal Minister Piyush Goyal clarified de-nationalisation of coal is not yet being considered: Coal India's monopoly as sole commercial coal miner remains untouched. Successful bidders at the e-auction will only sell their coal to companies it is marked for, with the coal regulator - to be set up after the relevant bill is passed by Parliament, possibly in the coming winter session - keeping an eye on prices. But the ordinance, together with the very setting up of a regulator, is an indication of which way the wind is blowing. "The government's vision is to move towards commercial mining, but things should happen in a logical order," says a senior official at coal ministry. Some experts feel there is much to be done beyond de-nationalisation of coal. "The government will need to protect genuine investments already made by private players in developing coal blocks," says Rajiv Kumar, Economist and Senior Fellow at the Centre for Policy Research. "There has to be robust regulation, which also takes environmental factors into account. A law on FDI in coal mining will be needed as well." Indeed, coal reform is all the more important given the fuel's uncertain future. "The sooner you de-nationalise the better," adds Kumar. "In the next 15-20 years, there will be huge movements against the use of coal. You cannot afford a monopoly where output stagnates." Reform at the state-level power distribution companies (discoms) is on the anvil, too. The power ministry has finalised a model Electricity Distribution Fiscal Responsibility Act - primarily reducing the scope for political interference in deciding tariffs - which it wants states to replicate. It is also working out the details of the Deendayal Gram Jyoti Yojna, which will segregate power for agriculture from that for rural domestic needs. This, too, will help discoms curtail losses. "The new establishment has ambitious plans of fixing country's infrastructure, agriculture and making it a manufacturing hub," says Anis Chakravarthy, Economist at global consultancy Deloitte Touche Tomastu. "All this might require more public funding."